I love an Apple product launch. I admit it. Even in the IT Department I work in, where there are plenty of geeky types, this admission can be met with snarls of derision, but I'm unabashed. I don't even buy that many Apple products (only an iPad 3, which I will run into the ground rather than get caught up in the eternal upgrade cycle), but there is something about the way they celebrate technology that I enjoy. Yes, they're too cool for school, they're arrogant enough to talk about certain established technologies as if they invented them and their products are expensive. But the passion they have comes from the services they can offer with their shiny toys, not just the technology itself and that really appeals to me. On 9th September, I battled the early evening traffic, then battled with my laptop to connect to the live video feed of Apple's biggest product launch in years. For me it wasn't about seeing the new iPhones. They're worthy, but have been a bit dull for a few years now. I wanted to see what they would bring to the wearable technology category. Smartwatches are being treated as the next big thing by the tech industry. They like to call them wearables and Google and its partners have already played their hand with Android Wear, now running on four watches and being touted to a largely disinterested public. Like the rest of the public, I'm sceptical that the smartwatch really is the next big thing and so far, the focus seems to have been on cramming as much smartphone technology as possible into a device with a 2" screen! This can never work in the same way that Microsoft completely failed to cram a Windows desktop into a phone back in the early 2000s. Back then it was Apple who came to the rescue and the rest, you might have noticed, is history. I like to keep an open mind though. Perhaps history would repeat itself with the smartwatch and Apple would come along again and show everyone how it's done. Now we've seen the Apple Watch, have they created another winner? Well, they've certainly achieved a lot. Apple describe their watch as the most personal device they've ever made and this is wise thinking. The traditional watch market manages to support thousands of different shapes, sizes and designs, so it's clear that one single design may not ignite mainstream success. The Apple Watch will come in two sizes, three finishes (aluminium, stainless steel and gold) with a whole plethora of swappable straps of various materials. 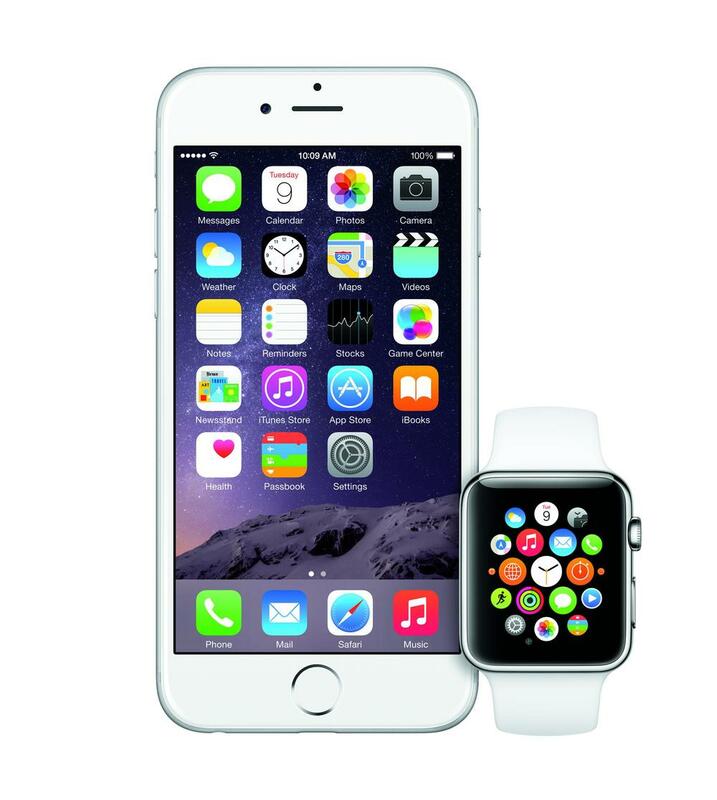 Whether you want your watch to be sporty, smart or bling, Apple has you covered. As the presentation continued, I started to want one. Once we'd absorbed how it looked, Apple went on to discuss how it operates and again, they've been pretty innovative. This doesn't look like an iPhone squashed into a tiny screen. Instead there is a kind of app-cloud where you pan around the apps and the ones in the middle grow out as they are focussed on. The screen is both touch and pressure sensitive, allowing a hard press to be recognised. It's used for moving around and pressing on-screen buttons etc, but gone are many of the gestures that helped smartphones become so successful. Apple rightly point out that such normalcies as pinch-to-zoom fail to work when the whole screen can be covered by two fingers. Instead, the watch 'crown' has been promoted. No longer needed to wind the watch up, it can now handle zoom and selection, leaving the screen in full view more of the time. So far, so impressive. (Now) standard smartwatch functionality is all here. Paired with your iPhone, notifications from any app, all under your control, can be passed over to the watch. The idea here is that you can quickly assess whether the message needs you to take out and unlock your phone. Depending on the app, you can quickly dismiss messages, or pass back quick responses. It's all very efficient, if that is, you feel taking your phone out of your pocket or lifting it from the table in front of you is a problem you've been hunting for a solution for. Maybe I'm being a little too cynical and for some people, notifications will be really handy. I do like the idea of the health monitoring tools. The extra sensors, including the heartbeat monitor will allow more accurate and detailed data for informing and motivating people who want to improve their health and it would be hard for a smartphone to be able to do this without the help of a wearable piece of technology. How interested people really are in this remains to be seen, but it appeals to me and my Fitbit got a touch nervous. Up until this point in the presentation, I was still wondering how I could finance switching from my Nexus 4 to a new iPhone and getting an Apple Watch without my wife noticing the massive dent in the bank account before things started to give way for me. A man in his late thirties was trying to convince me that he and his colleagues regularly communicated by drawing emoji (small icons used to express ideas or emotions) on their Apple Watches to send to each other. He suggested his drawing of a fish would communicate to his absent colleague that he fancied sushi for lunch and then his colleague passed back a response containing his actual heartbeat. Now I know teens that love to use emoji heavily, but this looked embarrassingly gimmicky and I wondered if Apple might be having just as much trouble as everyone else at deciding exactly what smartwatches should do beyond health monitoring. No forcing IOS from the iPhone into an even smaller package. The interface is very clever indeed. Things improved when they demonstrated getting directions using Apple Maps. Yes, the map looked worryingly tiny on that little screen, but it could definitely work better than a phone when on foot and, cleverly, the watch could vibrate and signal to you whether you need to take a left or a right without having to look at the screen at all. A good save, but then we slipped back into gimmicks. One of the later demonstrations was to show off how you could navigate and view photos from your thousands sitting in icloud. It was clever, it was slick, but it was pointless. Whilst applications that you want to glance at (a message, a turn instruction on a map etc) definitely benefit from coming from your wrist, anything more long-form, like flicking through your pictures is going to be an infinitely better experience on your phone. For the Apple Watch to be of any use at all, you have to have your iPhone present, so why not just use that!? Apple have done a lot right here. They've created a watch design that shouldn't offend anyone and will appeal to many. They've developed a user interface that appears to allow navigation and use of apps without trying to work a tiny screen with two fingers and they've also shown that there are a few things a smartwatch can do that a phone can't with the health monitoring tools. Despite the gimmicks, it's a fine first effort, but it left me feeling that I watched a different Apple compared with before. Like the iPhones, with their much bigger screens (something they once said they would never do), the watch felt like a corporate-driven response to rising competition from Google and Samsung et al - not something self-driven by innovating a great service out of existing technology. Accountants and marketeers seem to be in the driving seat now Steve Jobs has gone. Apple will make a big one.